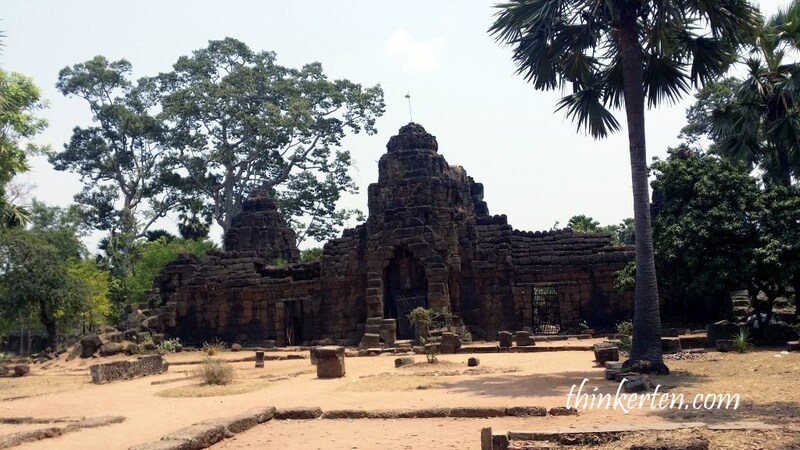 Part 2 of Cambodia Phnom Penh was more of visiting the outskirt of Phnom Penh, checking out old ruins and countryside of Cambodia. The last portion of part 2 was more of a horrifying one, pay a visit to the Killing fields and the S21 torture prison to learn about Cambodian past. I was not into shopping but coming to Central Market was just an experience. The Central Market is just like a wholesales market and I see many locals coming here to buy in bulk. What caught my sight was not the souvenirs or clothes selling in the big yellow building but the exotic food sold outside the Central Market. Fried tarantula spider are one of the popular snack in Cambodia, if you have tried deep fried baby soft shell crab, then you may have no fear trying the fried tarantula, the feeling is quite the same. Locals love eating this to increase their beauty. 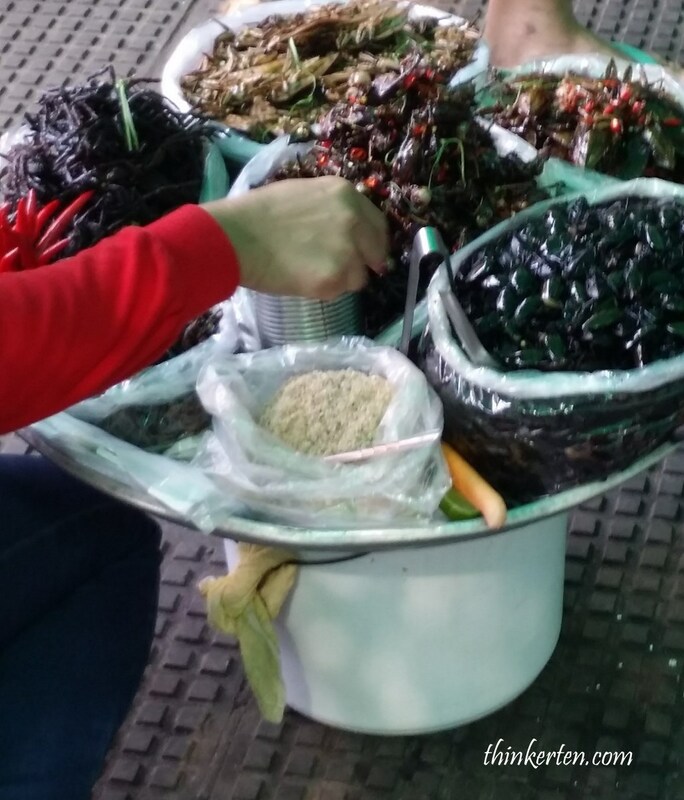 There are also fried cricket, roaches and silkworms for you to try out. I have my dinner at the decent restaurant and ordered some Cambodian rice paper rolls wrap with shrimps. The Cambodian rice paper rolls tasted exactly same as the Vietnamese rice paper roll which also dip with sweet and sour peanut sauce. Quite yummy. Phnom Chisor is a 133 m high hill in Sia village, about 42 km south of Phnom Penh. We arrived in the morning around 10 am so the heat is still quite tolerable. There are many steps, about 300-500 steps to climb up to the top of the hill. In the midway, there is an old shelter and we met some Cambodian high school students who were also taking their rest, looking very shy at my camera. 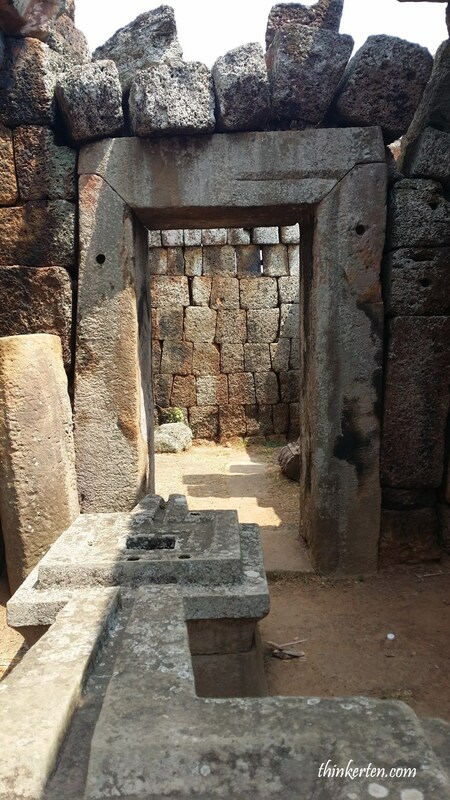 When you reached the top, you will see ancient Khmer temple. I have not been to Angkor Wat so I think I wasn’t disappointed seeing a small temple ruin like this. I is a lot smaller than Angkor Wat but is is older than Angkor Wat. The temple was built in the 11th century of laterite and bricks with carved sandstone by the Khmer Empire King Suryavarman I, dedicated to the Hindu divinities Shiva and Vishnu. 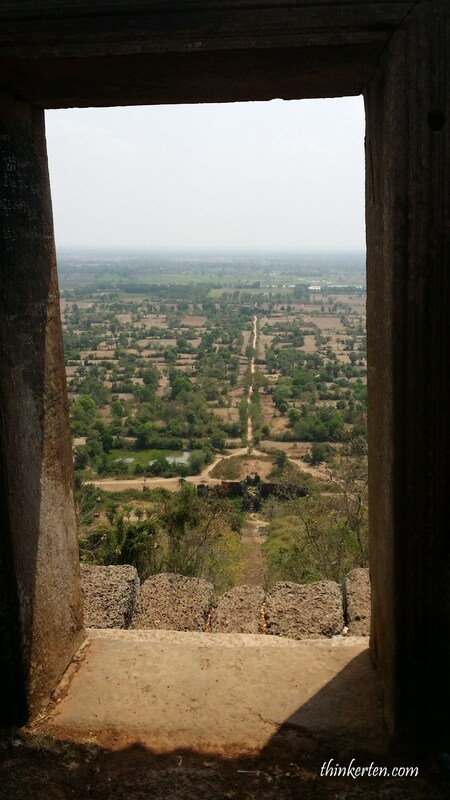 Beside the Khmer ruins, there is also a great view overlooking the Kingdom of Cambodia. 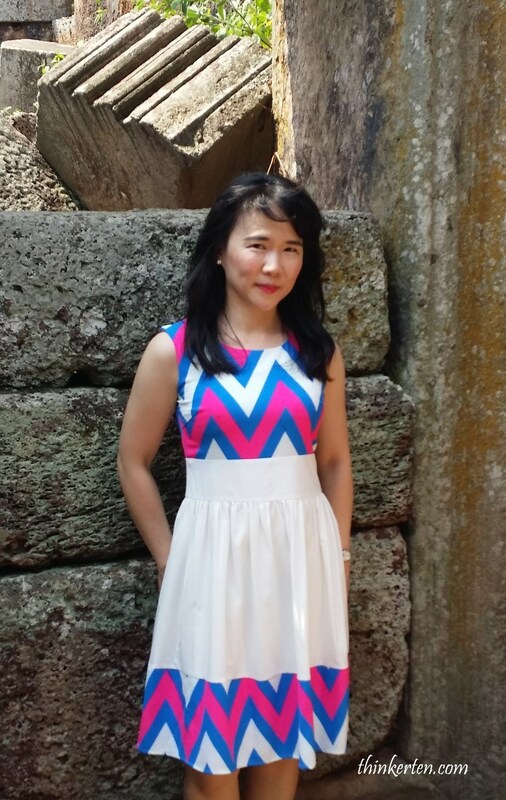 It is very windy at the top of the hill, I sat down at some rock and enjoyed the lushly greenery landscape. 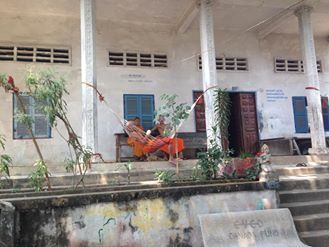 There is an old dormitory for the monks who live near the temple ruin. If you are only coming to Phnom Penh an not going to Siam Reap, you can consider coming here to have a taste of the Khmer ruins. 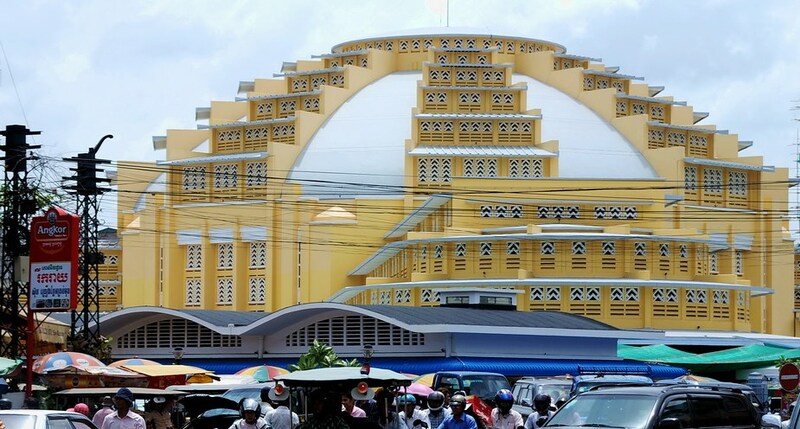 The Tonle Bati is located in Takeo Province, 30 km from Phnom Penh. This is similar to Phnom Chisor Ruins but you do not have to climb up many stairs to reach the ruins. 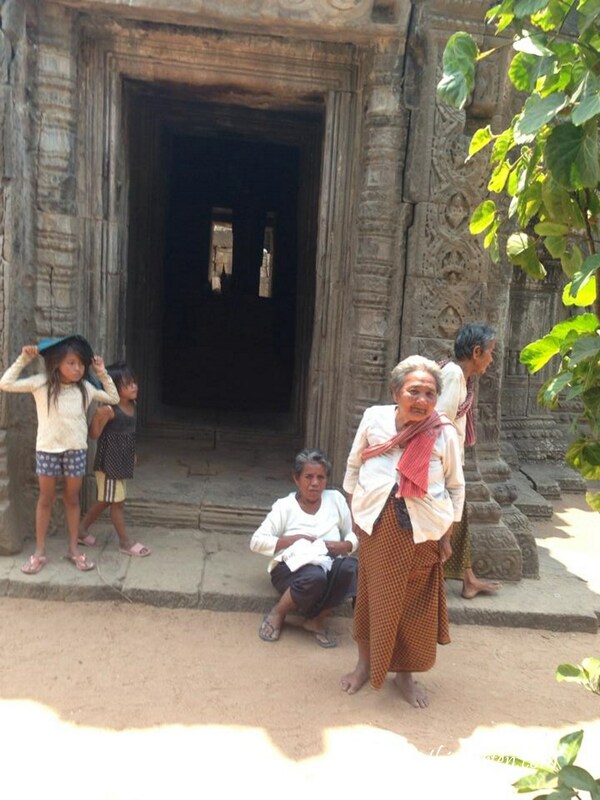 Poeple also oftern get confused with Angkor’s famous Jungle Temple of the same name in Siem Reap Province. Ta Prohm at Takeo was built about 1200 by Angkor’s famous King Jayavarman VII. 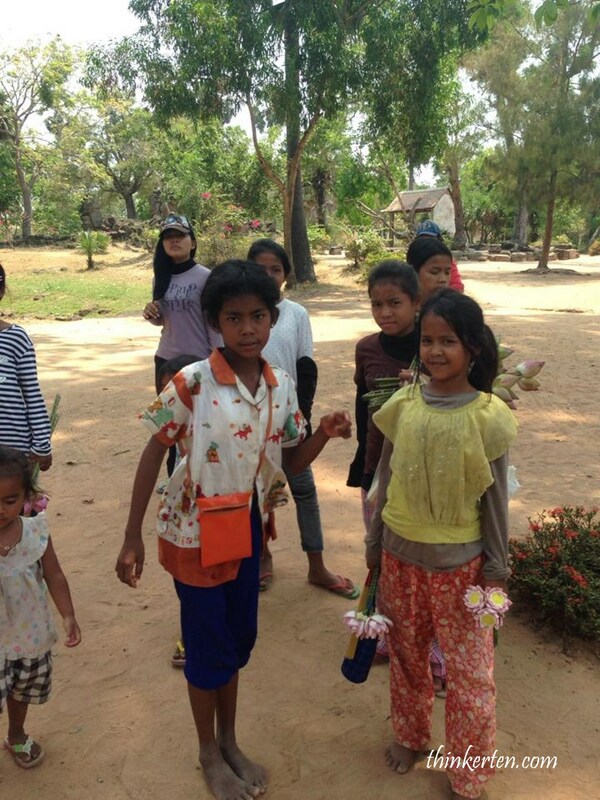 Once you arrived at the ruins, children rushed to you for money or asking you to buy flowers from them to offer to the temple. I gave them some money an some pens from my bag as I did not prepare anything for them. They were pretty happy about it. Few old ladies were around the temple and also came to us and asked for money. 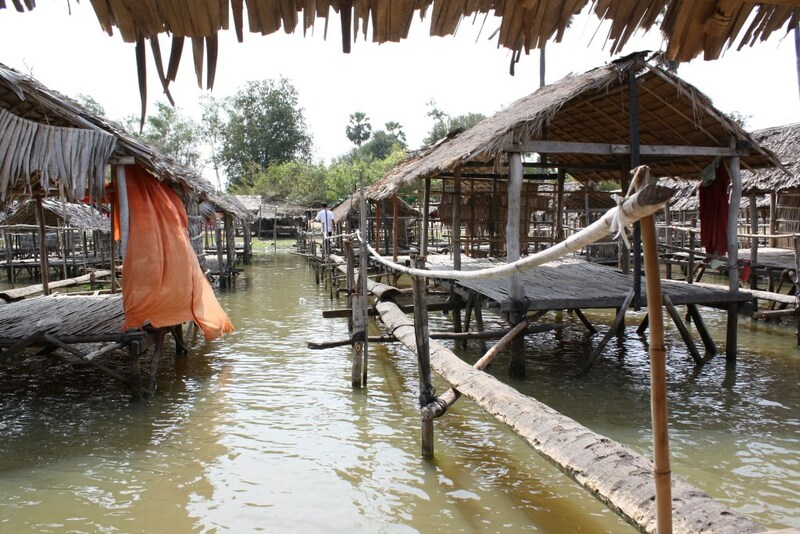 The nearby lake called Tonle Bati is a popular weekends destination and fishing spot for the local population and city residents from Phnom Penh. There are also restaurants but our driver told us this place is over priced especially for foreign tourists. This is a scary place to visit, there are few sites in Cambodia where more than a million people were killed and buried by the Khmer Rouge regime under Pol Pot during his ruling the country from 1975 to 1979, pretty recent only. Hitler and Pol Pot, both are lunatic. Hitler killed innocent Jewish in Europe, a different race from him but Pol Pot in Cambodia killed his own race, all educated people were his target. People who look clean, fair, smart, tidy, wearing glasses, were in his killing list. 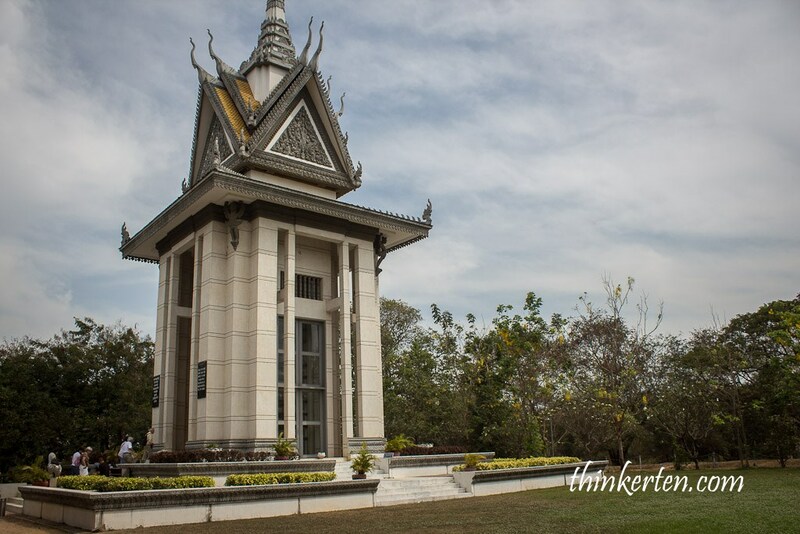 A commemorative stupa filled with the skulls of the victims at the Killing Field of Choeung Ek. I did not dare to get close to the stupa as there are thousand of skulls displayed. Total of 1.7 million of innocent people were killed. The killing field is even scarier than the Nazi Concentration Camp because here you can still see many victims’s skulls and bones and teeth around the killing field. Beware, don’t step on them. Once you entered, you are given a headset to listen to all the explanation. You can turn on to your preferred languages. 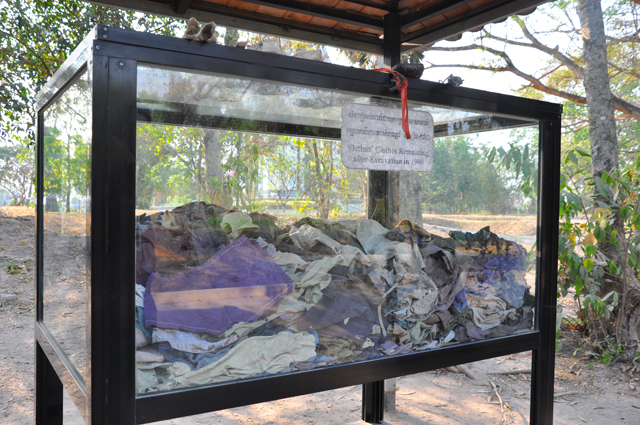 As the genocide was still pretty recent, the victims’ clothing and other artifacts cans still be seen. Some human bones and teeth can be found on the ground of this site. Academic such as teachers, lawyers or those who could read and write and wearing spectacles would be chosen and get tortured and killed later. This is a very solemn experience to learn about Cambodian past. This is another killing site. 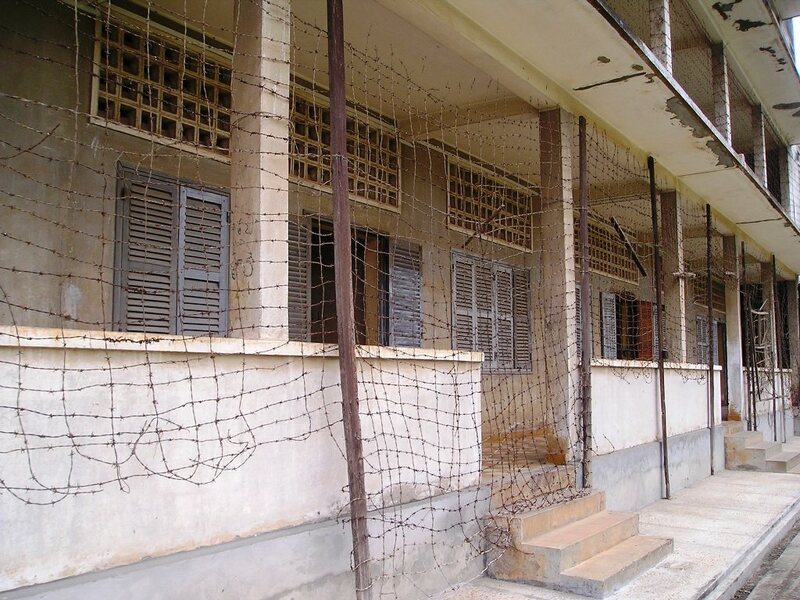 The Khmer Rouge renamed the high school S21 and turned it into a torture, interrogation and execution center. Of the 14,000 people known to have entered, only seven survived. The S21 Prison was used to be an old school. This is also another horrifying place to visit. You entered each room and each room can be very disturbing to look at. Inside some classrooms, you can see the photos of thousands of innocent victims, babies, children, boy and girls, men and women range from 20-50s. The trees outside the classroom were used to hang the victims to death. Very sobering tour and if you like history, this is the place for you. 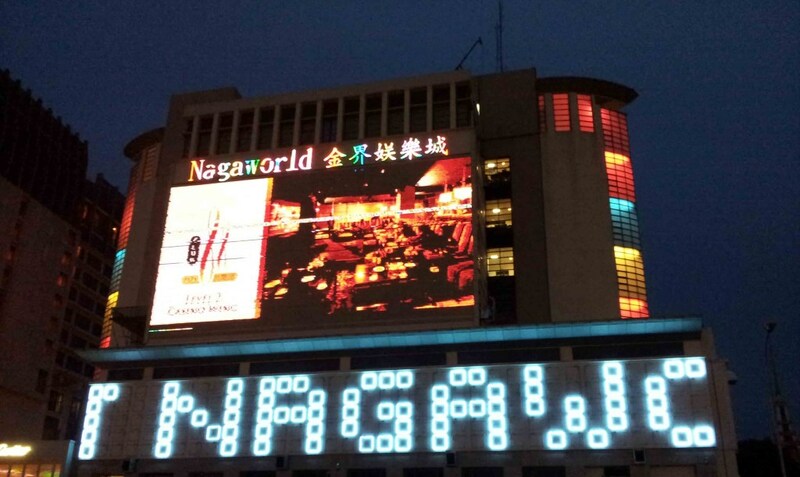 I am not interested in gambling but was in Nagaworld Casino to have a look, nothing much interest me, except I was quite enjoy the cool air-condition. There are also restaurants and luxury shopping inside the Nagaworld complex. The place was too crowded for me, been there for less than 20 mins to walk around the complex and quickly left this place. Final tips, there is no need to change your currency into Riel, everywhere here in Phnom Penh are using USD. Tuk-tuk asked for USD 2-4 dollars to go to popular tourist spot from your hotel. I felt thing are quite pricey as all thing are charged in USD. A good experience but I don’t think I will come back here. This looks like a very interesting trip. While I’ve not been to Cambodia, I’ve been to neighbouring Laos. The architecture and even food sounds quite similar. Thank you for your comment. I would love to visit Laos one of these day. Do you find Laos easy to visit? That’s very informative. Angkor is surely one place every architect wishes to go – that includes me but there has to be something beyond angkor and this travelogue is a nice guide for me. Phnom Penh has Killing fields and Seam Reap has Angkor Wat. Angkor Wat is also in my travel bucket list! Wow, you even tried the tarantula? You are so brave! Tarantula snacks? Is it crunchy and delicious?! Am curious and a but cringey. So lucky you havw visited these ruins. The walls are full of memories. I heard the Tarantula snacks are delicious as it was being deep fried with oil and plenty of sugar to make it delicious, taste like a cracker I suppose, crunchy and salty. The ruins are great and also sad to look at the killing field where bones can still be seen at the field. Beware and dont step on it. I’ve just watched “First They Killed My Father” on Netflix, and reading about the Killing Fields sure brought back the chills.